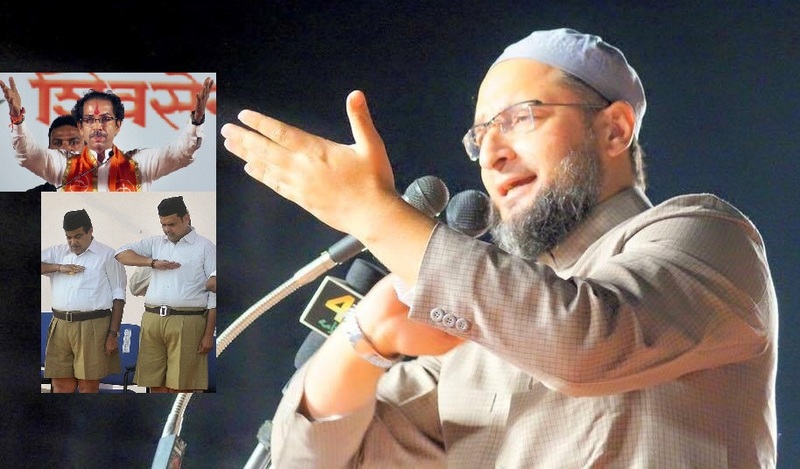 Mumbai: Hitting out at Maharashtra Chief Minister Devendra Fadnavis, ally Shiv Sena said he has “no moral right” to chant ‘Bharat Mata Ki Jai’ so long has he failed to put AIMIM chief Asaduddin Owaisi behind the bars for refusing to do so. “After getting aggressive, the CM has now gone soft. There was no need for him to go back on his statement. He needs to make it clear why did he do so and put all the blame on media,” the Sena said in an editorial in its mouthpiece ‘Saamana’. The Sena also took potshots at Fadnavis for “going soft” on the slogan issue after taking an aggressive stand at a public meeting at Nashik recently. “If you weren’t able to do this, you have no right to chant a pro-India slogan and you are at fault as much as Owaisi,” it said. Fadnavis, while speaking in the Assembly yesterday, had said that whether or not he remains the CM, he will keep chanting ‘Bharat Mata Ki Jai’ and blamed the media for only focusing on a part of his speech made at Nashik where he had said that those who refuse to chant the slogan have no right to stay in this country.